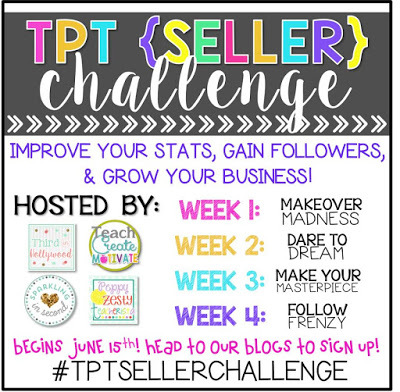 I am so excited to be taking part in the huge TpT Seller Challenge that's being hosted by some fantastic ladies from Third in Hollywood, Teach, Create, Motivate, Sparkling in Second, and Peppy Zesty Teacherista! Click here if you want to join in! This week's challenge was Makeover Madness. Basically I had to pick one product to "makeover". 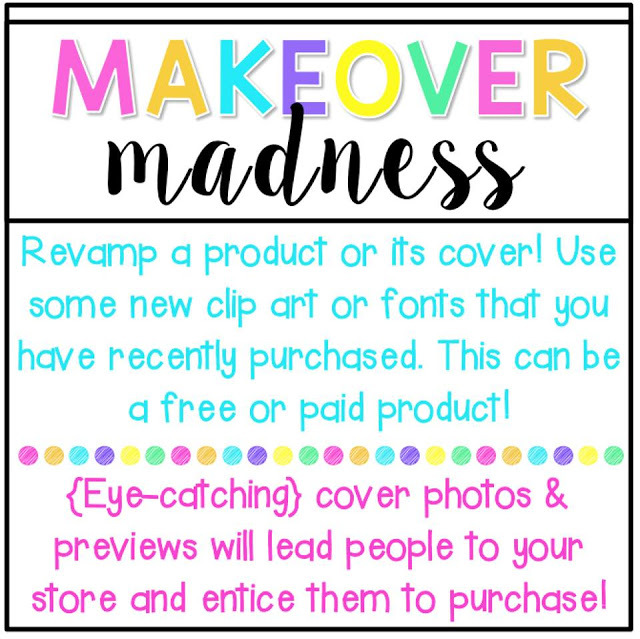 I could makeover the whole product, the cover, whatever really! 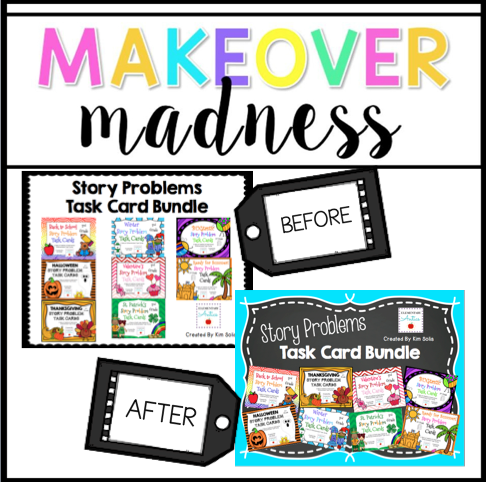 I decided to makeover the cover of one of my biggest products- my Addition & Subtraction Math Story Problem Task Cards Bundle. 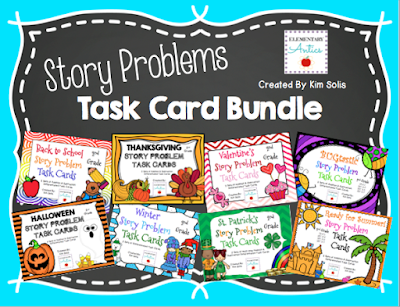 These task cards have you covered for the whole year, plus they are CCSS aligned and great for centers or a fun exit ticket in your classroom. Although I love the covers of each set of task cards that are included in the bundle the cover as a whole really needed a makeover. It was so boring! Check out the before and after below. You can check out the product here or just click on the picture. It will be on sale- 20% OFF through Saturday! So now it's YOUR turn to makeover one of your products if you are part of the challenge! You have the rest of this week to do it. Then, you can share it share it using your social media using the hashtag #tptsellerchallenge. 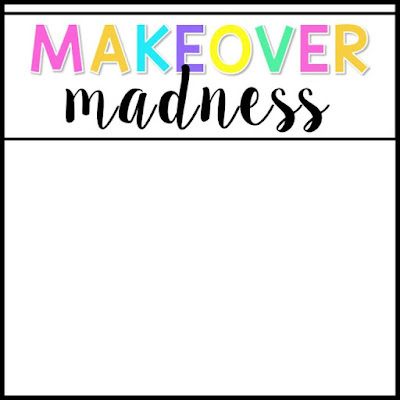 Click on the image below to save it, and then get to work creating your own Makeover Madness! Love the new cover! It really makes your products pop. Great job! This challenge is awesome!! !